Spend the night mixing with international spies, special agents and villains while enjoying a vodka martini, shaken not stirred! You and your guests arrive at your Secret Agent Event and are immediately impressed by the Aston Martin car at the entrance of the hotel, the perfect opportunity for guests to have their photo taken with the car and lookalikes. Before entering the venue, Russian security guards will check invitations and guests for concealed weapons before they progress through the checkpoint into the secret venue. We will set the scene for you by having 007 music playing in the background on arrival. 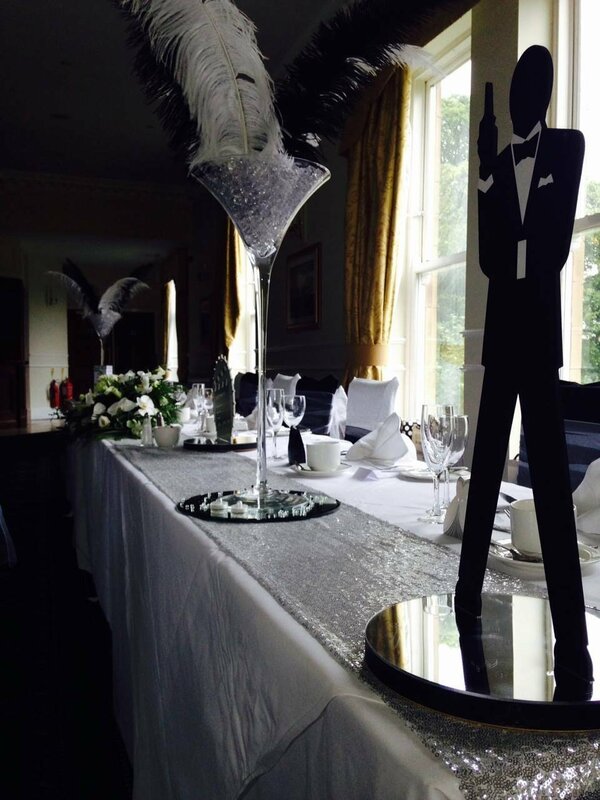 Theme your venue 007 style from a scene out of the latest Bond film with our Props & Theming such as Bond Themed Table Centres, Cocktail Bar, Giant Cocktail Glasses, Slot Machines, James Bond Life-Size Cut-Outs, Bond & Bond Girl Film Strips, Flame Lights, Red Carpet, Posts & Ropes, Card Arches, Giant Playing Card, Bond & Bond Girl Silhouettes, Casino Royal Signs, Giant Casino Chips and 007 Backdrop. 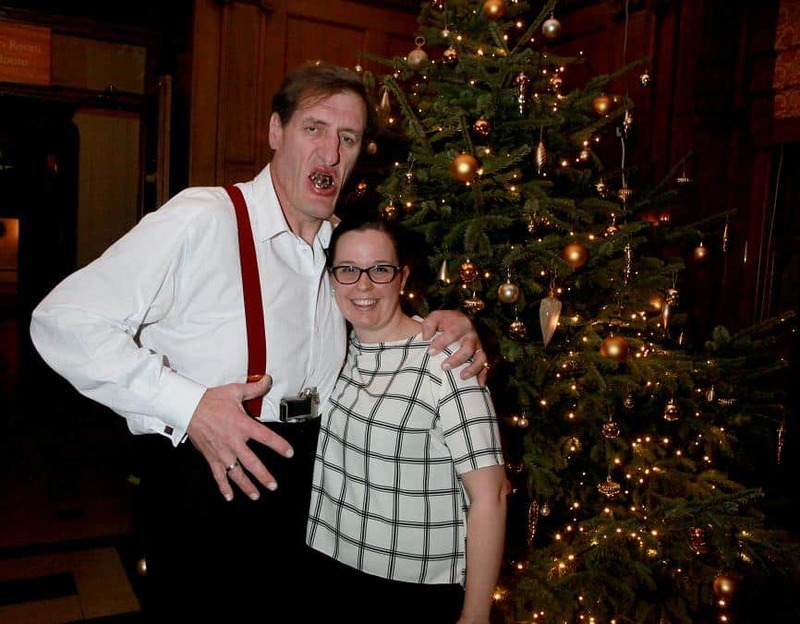 We can even supply you with Bond villan Lookalikes to really add to your party, including our 7’ 3” tall Jaws and menacing Oddjob, or even have Bond himself. 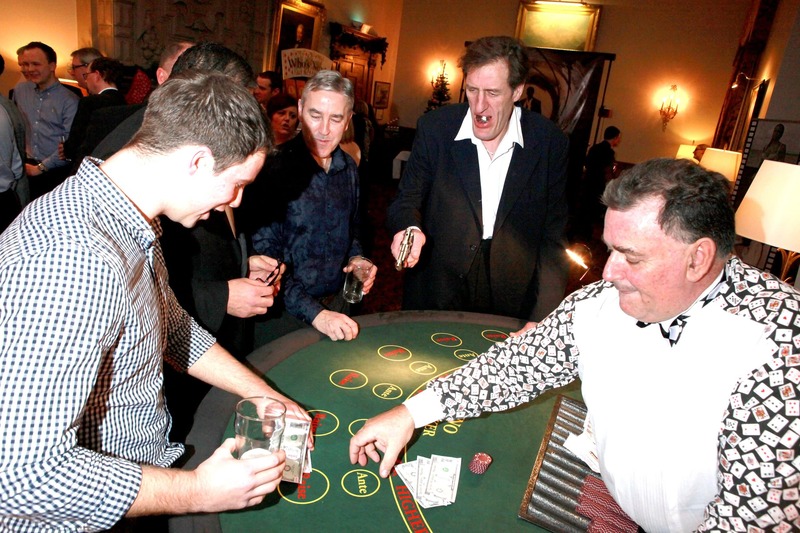 Bond loves a flutter in the casino and a James Bond themed night wouldn’t be so without a Fun Casino, enjoy all the fun of a casino with our fun money, choose from a range of gaming tables for your event. 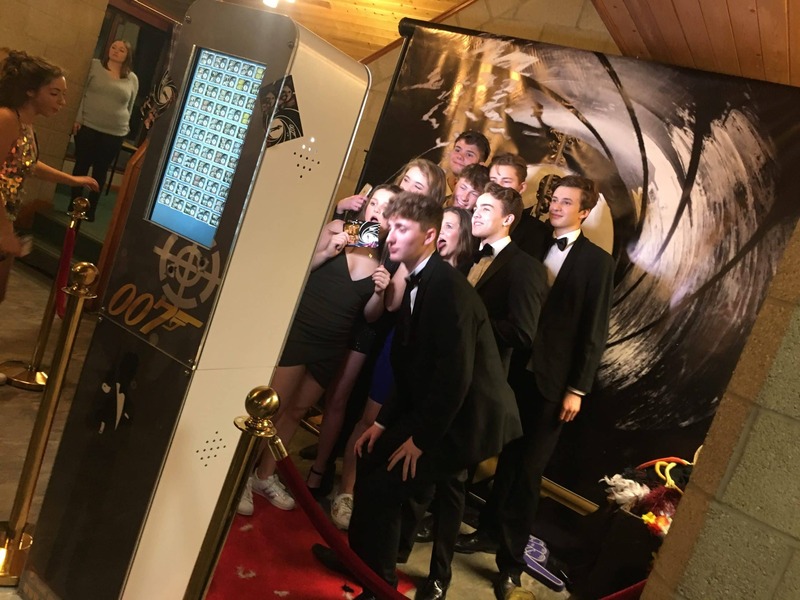 Our 007 themed Selfie Pod and unlimited Bond theme print out work brilliantly with our Bond backdrop, Posts and Ropes. Take the crazy pictures and keep the memories of your Bond Night with our latest piece of technology. 007 loves his cocktails shaken not stirred, how do you like yours? 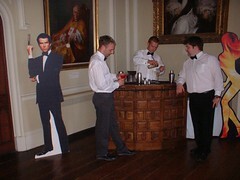 Cocktail Mixing is great for all parties and evenings, especially Bond themed. Enjoy making Martinis and Mojitos with our trained mixologist, make your own or sit at the bar and watch it get made, the choice is yours. Bond theme is a favourite for our Indoor Laser Target Shooting gallery, test your speed and accuracy in our blackened tunnel shooting range. 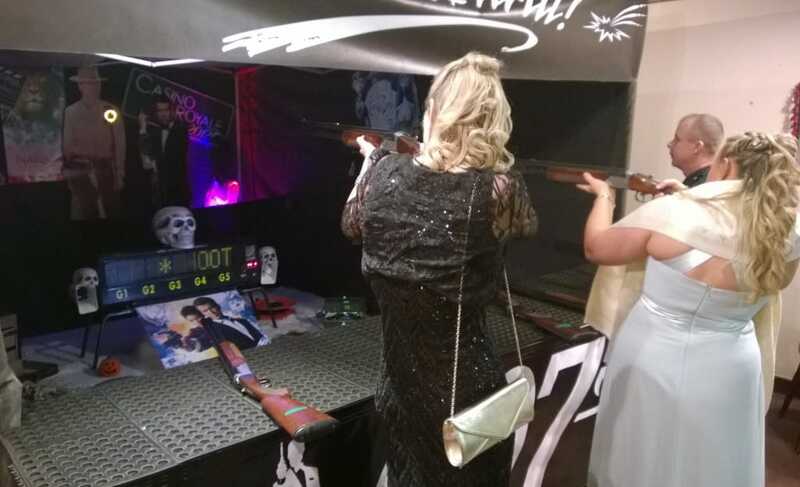 Our five gun Laser Sport shooting system is a quick-fire fun interactive game, highly popular at Bond nights. 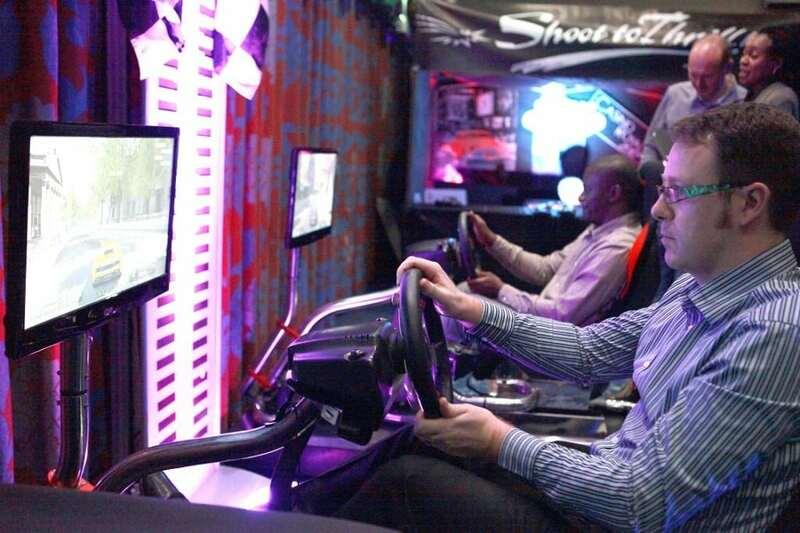 Our Aston Martin Racing Simulators are great for head to head action. Race against your guests in Bond’s Aston Martin DB9 around the streets of London, or anywhere in the world.